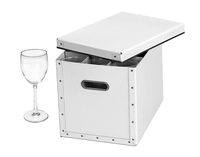 cargo® Moderne is pure and practical design for tabletop storage with sleek contemporary styling. White is the most universal color in home accessories. White has a calming effect in a hectic world! 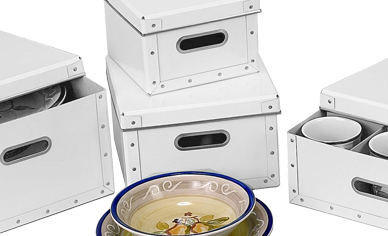 This is a practical assortment of three key models for kitchen/tabletop storage and organization. Features include a high gloss laminated paper covering over fiberboard, for durability and easy care. Eco-friendly. This collection is made of our exclusive durable eco-fiberboard material. 100% post consumer recycled content and 100% recyclable.